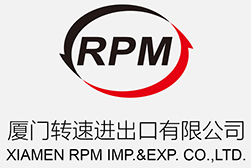 Rimpex Rubber supplies epoxy resin, fluoroelastomer, fluoro rubber from China. Widely used in adhering, pouring, resisting corrosion, painting of petrochemical, electric, electronic, machinery, architecture, vehicle, food, automobile, aviation fields. It is often regarded as all-purpose adhesive. Epoxy resins are divided into fluids and solids, and low molecular weight of epoxy resins are fluids, high molecular weight of epoxy resins are solids. Epoxy resins have excellent processing technical, adhering, electric insulating, chemical-medicine-resistance, dimension-stable properties. The products are high mechanical strength, low water absoption, low thermal expansivity, low shrinkage rate. It is necessary to remove oil, rusty, lacquer and dirty on the workpieces which will be used, then mix epoxy resin curing agent and relative auxilaries uniformly in definite proportions, finally the work pieces can be used. Liquid epoxy resins re packed in iron drums, and the solids epoxy resins are packed in plastic bags. Stored in dry, colds and well ventilated warehouse.Its shelf life is one year, beyond this time, it can still be used if it is qualified after retesting. The resins are linear thermal-plastic stuff before curing, and become hardened into unsolvable and unfusible cross-linked network after being cured. High mechanical strength and good anticorrosion. Used as dipping and encapsulating materials of electric and electronic components, as well as adhesives and coatings of light-conductive materials and optical instruments. Mainly used as anticorrosive coatings, insulation coatings and electrophoresis coatings, etc. Widely used in aviation, shipping, chemical equipment manufacture as sealing, waterproof, damp-proof, antiriot, heat-resistant, cold-resistant, impact-proof and shock-proof materials, etc. Storage: In dry, cold, and well ventilated storehouse; keep away from sunlight, fire and heat source. Shelf time: 1 year.Beyond the time, it still can be used after being tested and qualified. Possesses much more crosslinking joints and much denser network after being cured compared with bisphenol A epoxy resins as in every single molecular there are more than two epoxy groups. High viscosity as its high molecular weight. Used in making arc-resistant, heat-resistant and insulation finished products. Store in dry, cold, and well ventilated storehouse; keep away from sunlight, fire and heat source. ---Besides, several similar products such as 703A, T31, CHT-251 have parallel or better properties and applications. Keep away from sunlight, fire and heat source. Shelf time is 1 year.Beyond the time, it still can be used after being tested and qualified. ---Also, this diluent could be used in solventless paint. ---Widely used as diluents of epoxy resins, sealing, pouring, dipping, laminating, adhering, resisting corrosion, stable agent, finishing agent of fiber, etc. Notes: The 501 active diluent for epoxy resin is according to the technical standard of Q/Y 38-91, the detailed data is above. The product's shelf time is 1 year.Beyond the time, it still can be used after being tested and qualified.